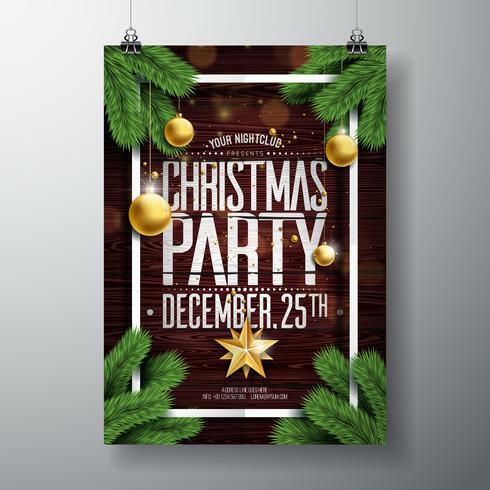 God julfestdesign med Holiday Typography Elements och prydnadsbollar på Vintage Wood Background. Celebration Flyer Illustration. EPS 10.